DSLR cameras provide users a creative full control over the gear. Big budget DSLR camera gives more controls and comes with more specifications. But for students, semi-professional and photographers on a low budget an entry-level DSLR is enough to go. Nikon, Canon, Pentax, Sony have some great entry-level DSLR cameras for professional, amateur and semi-professional photographers. Here we'll discuss only about Canon entry-level DSLR cameras. Canon announced this camera on 11 February 2014. It is known as EOS Kiss X70 in Japan and EOS Rebel T5 in US. Canon EOS 1200D is 18.1-megapixel entry-level DSLR camera and has a 1080p video recording system. This is a very entry level camera so professionals may find some cons of this gear. 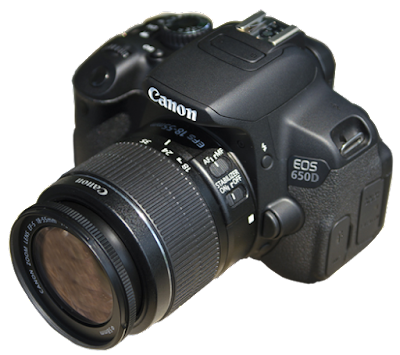 The 18 megapixel Canon 600D/canon rebel t3i with a fully articulated display is one of the cheapest and top class entry level DSLR camera among Canon cameras. In North America it is called as EOS Rebel T3i and in Japan it is known as EOS Kiss X5. Canon EOS 600D supersedes the Canon EOS 550D/Rebel t2i and comes with a 1040k dots multi angle LCD display and a user friendly control menu. This lightweight Canon camera has a very user friendly interface and offers a beautiful LCD screen which is very helpful for low and high angle photography. Canon EOS 600D is a very popular camera to all over the world. 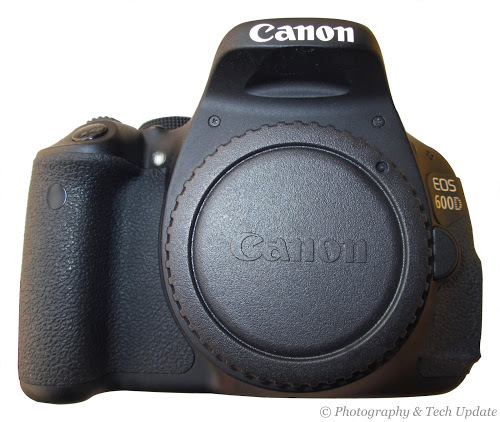 Canon 650D is the world’s first DSLR camera to introduce a vari-angle touchscreen LCD. This camera comes with a genius focusing system and with some new features than the predecessor Canon 600D. Canon 650D has a Digic 5 processor which is about six time faster than 600D’s digic 4. 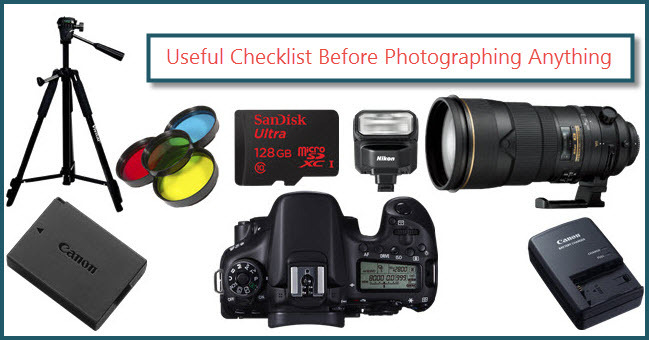 This is a perfect fit for photographers who want to start their DSLR adventure. It is a mid-range camera with a decent design and some unique features. 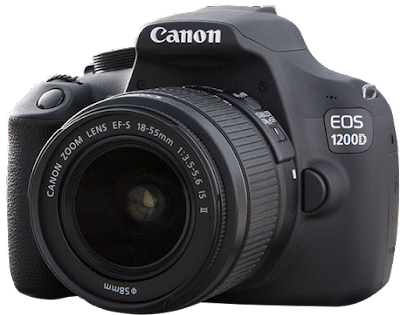 Canon 700D also known as rebel T5i is one of the best in any entry level DSLR with a superior image quality. 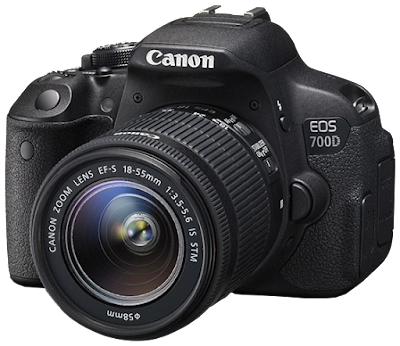 700D comes with a vari-angle clear view 1040k-dot LCD screen and took the place of short-lived Canon 650D. It has some unique features like mode dial that turns 360 degrees and real-time preview of Creative Filters in Live View mode. The highlighted features of this camera is 18MP CMOS sensor, Flips-out 1040k dot screen and 14 bit digic-5 processor. This camera produce surprisingly good images as an entry-level DSLR camera. * 9 point cross type AF system * 1040 dots touch screen vari-angle LCD screen. * Continuous auto-focus in movie mode. * phase detection auto-focus for video and live view mode. *Autofocus is slow in live view mode. * Autofocus sensor straggle to get sharp pixel with kit lens like 18-55mm. * Not a great update than the previous version. * Short video life. This one is the greatest gear in the Canon Rebel series DSLR cameras. It is also known as Rebel T6i. 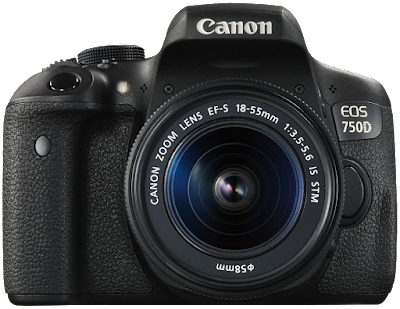 750D comes with a new 7560 pixel RGB+IR metering sensor and brings out more accurate metering. It is far better than its predecessor 700D. It not only an entry-level camera, I pro can also go with that. The 24.2 MP APS-C CMOS sensor produces superb image quality. Other new features are like built in Wi-Fi with NFC and flicker detection. 750D comes with a great autofocus. It is very easy to handle and very comfortable to shoot with. 750D’s control layout is better than predecessor that’s made the upgrade very useful. * ISO range of 100-12800 * Vari-angle LCD touchscreen * Full HD movie recording with great autofocus. * 19 cross type AF points * Wifi and NFC connectivity * Super quality responsive 3inch 1040k vari-angle touchscreen LCD. * Great autofocus system. * Great for low light photography. *Uncomfortable route to AF point settings. Photography is a beautiful art. Every DSLR camera from high-end to low-end are very useful. An amateur can take an amazing picture with the help of the DSLR cameras if he learn some photography technique like low light photography, custom bokeh shapes, HDR photography, Sunny 16 rule, Rule of thirds etc. This list of entry-level DSLR cameras is good to go with. They are very affordable and easy to handle. 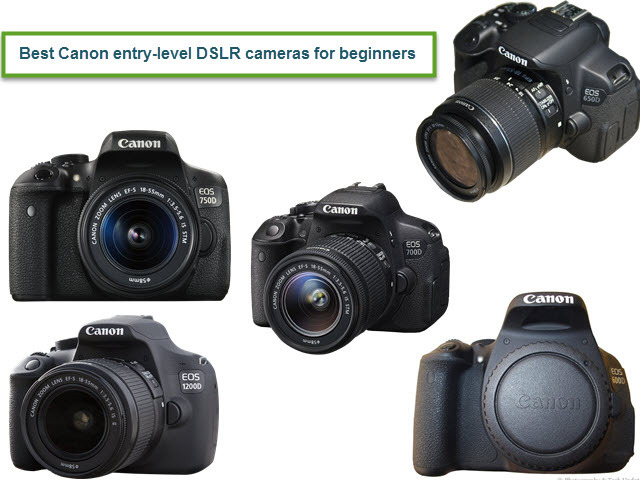 Entry-level DSLR cameras or cheap DSLR cameras are very useful to students, photographers on budget and to semi-professional photographers to start the photography career. Thank you for this post and I go through almost all of these post. I have known many things over here hence thank you for this share. View at custom essay writing help page if you are interesting on online essay services. #Best #Canon Informative blog for beginner photographers. Informative Blog for all beginner Photographers. Keep Blogging! I've read a review of study bay that featured this exact camera. It got me interested so that I thought about buying such a thing for myself.